It's the day before Canada Day, a time of tradition, a time of celebration, a time of patriotism, a time when we Canadians, as a nation strong and free, look deep in our hearts and realize an essential truth -- unless we get to the liquor store right away we are going to be trapped in a lineup longer than the Great Wall of China. But do not become discouraged, Canada, because while you are creeping along at the speed of airport luggage in that traditional pre-holiday lineup, you will have plenty of time to think about what it means to be Canadian. First, we are a young country. In fact, tomorrow Canada will turn ... um ... OK, perhaps while the rest of us are trapped in this line, a non-drinking Canadian could look on the Internet and let the rest of us know how old our country will be on July 1. Not that age is important. What's important is that you know in your heart you are as Canadian as ... um ... as the Robertson screwdriver or the Automatic Postal Sorter or fivepin bowling. You know that, right? OK, short of looking at your driver's licence, how can you be sure you're, in fact, a true Canadian? Well, one surefire way is to take our Day Before Canada Day multiple-choice quiz to determine your degree of Canuckish-ness. Question No. 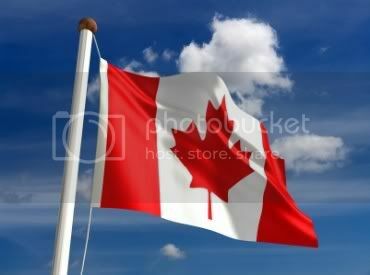 1 -- Complete the following lyrics: "O Canada ..."
a) "We stand on cars and freeze." b) "Na na na na, hey hey hey, goodbye!" c) "My roaming naked band." d) "Ohhhhhhh, I will alwaaaaaays love youuuuuuuuuu!" Question No. 2 -- The Canadian Football League may add another team. What should they be called? Question No. 3 -- What is your primary source of culture? a) Dogs and cats start living together. b) It doesn't rain during the Red River Exhibition. c) You go to Tim Hortons for coffee and there ISN'T a lineup. d) The Toronto Maple Leafs win the Stanley Cup. a) Make mine a double-double, eh? b) Hand me that two-four? c) Would you like a serviette with your poutine? d) I hit a deer with my snowmobile. a) Winter hats in Newfoundland. b) The furnace in your apartment block. c) Canada's No. 1 punk rock band. d) Something you will never remember to unplug, not even if your wife staples a reminder note to your forehead. b) Someone other than the U.S.
c) Is Mexico technically part of the U.S.? d) The Toronto Maple Leafs. c) Senior citizens to Florida. a) Demand the immediate release of William Shatner. b) Put the submarines at West Edmonton Mall on high alert, and briefly consider locking your front door. c) Feel really proud because that cute news anchor on CNN mentioned your province. d) "Que'est-ce que vous avez dit, monsieur?" To find out how Canadian you are, assign yourself 10 points for each correct answer. We trust you to do this on your own. Because you don't need someone looking over your shoulder. Because you are honest to a fault. Because, in this country, we operate on the honour system. Because if you believe any of that, you're a Canadian for sure.